Like many mobile gamers, [Daniel] has found himself caught up by the addictive “White Tiles” game. Rather than play the game himself though, [Daniel] decided to write his own automatic White Tiles player. While this hack has been pulled off before, it’s never been well documented. [Daniel] used knowledge he gleaned on Hackaday and Hackaday.io to achieve his hack. The basic problem is sensing white vs black tiles and activating the iPad’s capacitive touch screen. On the sensing end, [Daniel] could have used phototransistors, but it turned out that simple CdS cells, or photoresistors, were fast enough in this application. Activating the screen proved to be a bit harder. [Daniel] initially tried copper tape tied to transistors, but found they wouldn’t reliably trigger the screen. He switched over to relays, and that worked perfectly. We’re guessing that changing the wire length causes enough of a capacitance change to cause the screen to detect a touch. The final result is a huge success, as [Daniel’s] Arduino-based player tears through the classic game in only 3.9 seconds! Nice work [Daniel]! Click past the break to see [Daniel’s] device at work, and to see a video of him explaining his creation. RedPark just announced a new version of their iOS cable and it’s available right now in the Maker Shed! This revised cable allows you to hook your iDevice up to an Arduino with no soldering or jailbreaking required. The new cable works just as the RS-232 terminated version except RedPark has make a few internal changes so that it communicates over TTL serial (the same serial protocol used by an Arduino.) Eliminating the need for a TTL adapter means it’s never been easier to connect your iPhone, iPad, or iPod Touch to an external microcontroller for enhanced sensing and communication! The new RedPark TTL cable is available by itself or in a handy breakout pack that includes our deluxe jumper wires and Mintronics: Survival Pack Guts (no tin.) This way you have everything you need to hook the cable up to an Arduino and have plenty of components to experiment with. Just add an Arduino, a copy of Alasdair Allen’s “iOS Sensor Apps with Arduino,” and you’ll be up and running in no time! Also, we’ll have them in stock at Maker Faire! Connects iOS devices to microcontrollers and sensors! Designed for use with iPhone 4S, iPhone 4, iPhone 3GS, iPod touch (fourth generation), iPad 2 and iPad. 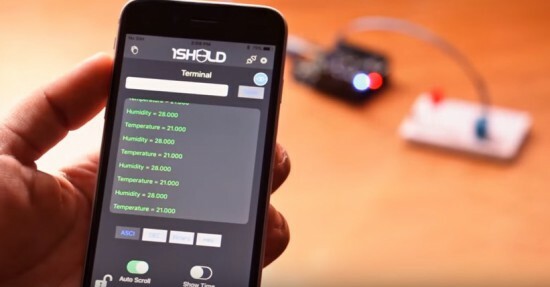 $59 Cable Lets You Connect iPhone to Arduino – No Jailbreaking! Dale and Alasdair are just two of your 300 peers you’ll run into at the upcoming Hardware Innovation Workshop, May 15-16, 2012—where MAKE magazine hosts an inspired conversation and curated tour of the unique culture, enabling technologies, and innovations of the maker movement. Sphero's hooked up with a new whip, albeit a retro-fitted one. 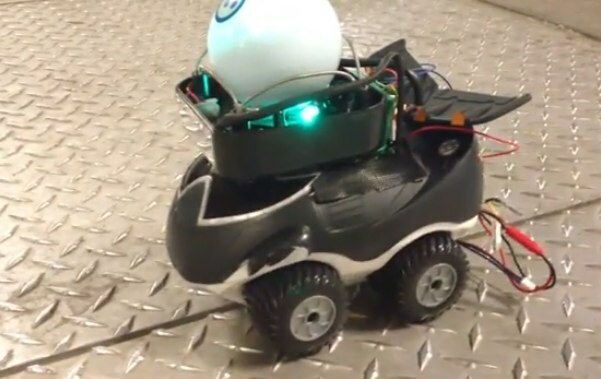 Skylar, a Junior Developer at Orbotix, modded an old RC car with an Arduino board, H-bridge and a few trackball parts, enabling the remote control ball to serve as its brain. Just in time too -- there's only so much fun you can have getting the little orb stuck behind the filing cabinets. Still, it's certainly a leap beyond purposing it to pull an iPhone-toting chariot. Sean Buckley contributed to this post. Sphero goes modular, spins out for a drive (video) originally appeared on Engadget on Mon, 19 Mar 2012 02:36:00 EST. Please see our terms for use of feeds.